If your parent or elderly relative has been abused or neglected while living in a nursing home or assisted living facility, call Carr & Carr Attorneys. Making the decision to transition your parent or elderly relative into a nursing home facility can be a particularly stressful time for families searching for the right facility. Even after selecting a long-term care facility, thoughts about the quality of care that your loved one is receiving may follow you. Incident reports of elder abuse and neglect in nursing homes have increased across the United States as facilities competing to fill beds have cut back on the quality of care provided. Signs of elder abuse or neglect can include unexplained injuries or bruising, bedsores, or malnutrition. Families seeking to discover what happens to their loved one when they’re away have increasingly turned to using “granny cams.” Similar to nanny cameras used by parents to keep a watchful eye on their children, electronic surveillance cameras have been used by some families in nursing homes to observe their family member. Some recordings have captured shocking acts of elder abuse. A New York Times blog article discussed an Oklahoma City nursing home incident in which a motion-activated camera placed by a daughter in her mother’s room at a nursing home caught an aide exacting physical abuse on her mother by inserting latex gloves into her mouth, taunting her, and performing heavy-handed chest compressions on her among other things. The deplorable actions and subsequent outcry prompted Oklahoma to become the third state to explicitly allow nursing home residents to use surveillance cameras in their rooms. Currently, no federal law grants individuals with the right place electronic surveillance equipment in nursing homes thereby leaving each state to implement their own laws. For states that have enacted or are considering legislation addressing electronic monitoring, finding the right balance between protecting an individual’s right to privacy and preventing the potential for elder abuse has been a challenge. Advocates against the use of granny cams argue that the cameras are an invasion of the resident’s right to privacy as the family or representative would be viewing the recording. 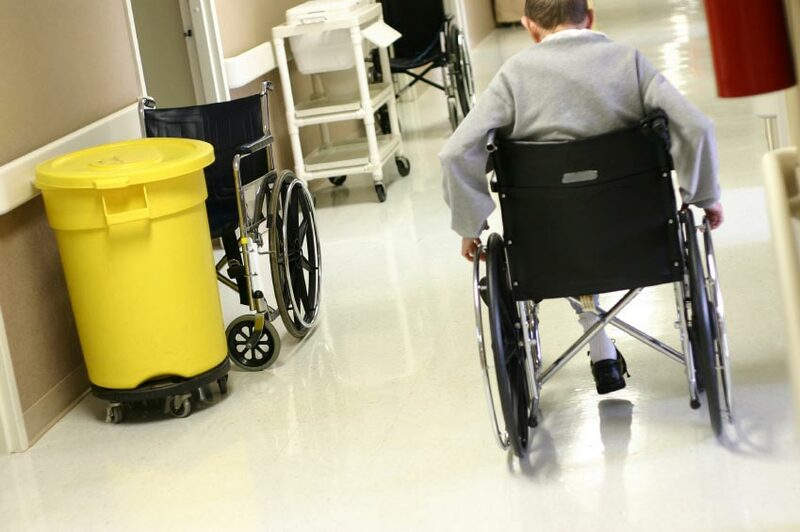 Further, the nursing home care industry has voiced concerns about their privacy rights being violated, especially in instances where equipment is hidden, and the potential for higher staff turnover seeking to avoid constant scrutiny. Those in favor of the electronic devices argue that cameras would allow family members to monitor the care being provided. If any abuse by an employee was recorded, then he or she could be terminated. Additionally, employee awareness of the potential for electronic surveillance could decrease the risk of abuse based on the presumption that employee is more likely to be on their best behavior when under the belief that they’re being watched. For example, knowing that one might be recorded could reduce potential for physical or sexual abuse, ensure that meals are given on time and feeding assistance is provided if required, ensure that medicine is distributed according to schedule, and confirm that residents are being treated well. According to a report published by the Pew Charitable Trust organization, state laws have varied on the subject. For example, Maryland allows cameras in resident’s rooms only if the entire facility permits use of the cameras. Texas requires residents installing cameras to post notices outside the door of their room to let those that enter know that they are being recorded. Currently, only New Mexico, Texas, Oklahoma, and Washington have laws granting individuals the affirmative right to install surveillance cameras in their nursing home rooms. Legislation is currently under consideration in Illinois, Missouri, and Arkansas. In 2013, Oklahoma legislators unanimously voted to enact the Protect Our Loved Ones Act. Considered to be “pro-resident,” the law allows nursing home residents or their representatives to install electronic monitoring devices in their rooms at their own expense and strictly prohibits nursing home employees from tampering with or blocking the view of the cameras. Facilities must provide notice of potential electronic monitoring in use on a general sign to be posted near the main entrance. The audio or video captured by the electronic device would be admissible as evidence in civil, criminal, and administrative court proceedings. Lastly, nursing home facilities are forbidden from refusing to admit or removing an individual who elects to install an electronic monitoring device. It is important to keep in mind that if a room is shared with another person then consent of the roommate is required prior to installation and they must not be visible on camera. While these laws can serve as a check against potential abuse of elders by employees or other residents, most importantly, they seek to give residents and family members peace of mind that their family member is being treated kindly and with the respect that they deserve. In the majority of instances, families will install a camera as a last resort when they suspect that their loved one may be the victim of abuse or neglect. If you believe that your loved one living in a nursing home may have been a victim of elder abuse or neglect, contact a nursing home abuse attorney at Carr & Carr. The best way to prevent future nursing home abuses from occurring is to hold those responsible accountable for their actions. With offices in Tulsa, Oklahoma City, and northern Arkansas, our experienced lawyers at Carr & Carr can help you determine what your next steps should be. Don’t hesitate, please contact us today.